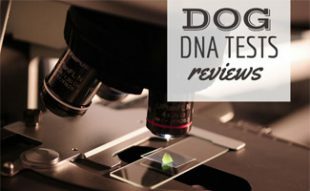 Home > Training > Breed > Dog Ear Cropping And Tail Docking: Necessary Or Inhumane? 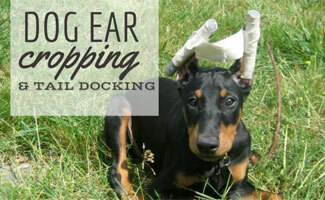 Dog Ear Cropping And Tail Docking: Necessary Or Inhumane? Ear cropping and tail docking are common today, but are these procedures necessary or purely cosmetic? Is it legal in your state? Learn the history of these practices and why they are still done today. Find out if it’s essential for your dog to have its ears cropped or its tail docked. 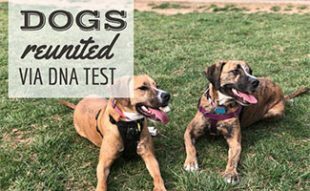 Should You Amputate Parts Of Your Dog? Cropping is removing all or part of the external ear flap on a dog. Many countries ban this practice due to the thought of it being purely cosmetic; thus it’s considered animal cruelty to perform unnecessary surgery on an animal. Why Are Dog’s Ears Cropped? Most often for perceived health benefits and cosmetic reasons. However, there is no data supporting the idea that cropping a dog’s ears improves its health. Some claims suggest that it can minimize ear infections and improve hearing. Many breed standards (set by the AKC and other pedigree organizations) have cosmetic requirements, including cropped ears for certain breeds. But, unless you are competing in a dog show or other event that requires these appearance standards, this is not necessary. Ears are stitched and bandaged for several weeks. The vet may need to check and replace these bandages periodically to ensure proper healing. The surgery has risks including the use of general anesthesia and post-surgery complications. Additionally, the ears may become infected, experience bleeding or even need to be amputated (rare but possible with significant complications). The dog’s ears will be sensitive and painful for weeks after surgery. The dog may experience phantom pain, and there is no guarantee on the success of the operation. Below are some common breeds with cropped ears. 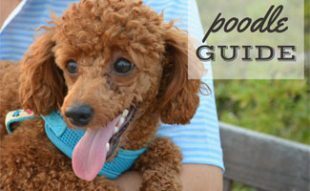 What Is Dog Tail Docking? Tail docking is the removal of part of a dog’s tail. The amount removed can vary depending on the breed standards. Today, dog’s tails may be docked to prevent the spread of infection, to help heal from disease or for cosmetic reasons. They are also docked to avoid injuries for working dogs who could get their tails caught in something. However, most tails are docked primarily for cosmetic purposes today, causing unnecessary pain to the dog. There are two ways to dock a tail. The first consists of constricting the blood flow to the tail with a rubber ligature until the tail falls off. This can take a few days. The second is severing the tail with scissors or a scalpel. Make sure you keep your dog’s bedding clean and monitor the surgical site until it heals fully. The space your dog is in should be kept clean, dry and free of urine and feces. Your vet will tell you when to remove the bandages, typically 2 to 3 days after surgery. This is generally done with scissors but check with your vet to learn the process they recommend. Monitor the area for redness, swelling and discharge. If you see them, these are signs of infection. Your dog will probably need a follow-up visit about a week after surgery to have the stitches (if used) removed. This information was taken from the AVMA (American Veterinarian Medical Association). 9 states regulate ear cropping. It is illegal to crop a dog’s ears in Connecticut, Maryland, New Hampshire, New York and Pennsylvania, unless done by a licensed vet while the dog is under anesthetic. Massachusetts forbids ear cropping except when performed by a licensed vet. It is illegal in Washington to perform ear cropping except when it is considered a customary management practice. “Animal torture” is illegal in Illinois (includes both ear cropping & tail docking), but has an exception for alteration of an animal done under the direction of a licensed vet. Maine bans mutilating an animal by irreversibly damaging body parts (includes ear cropping & tail docking) but makes an exception if performed by a licensed vet. 19 states regulate tail docking in some form. Maryland and Pennsylvania are the only states that have provisions restricting the tail docking of dogs. It is illegal in Pennsylvania to dock a dog’s tail if it is older than 5 days, unless it is medically necessary. In Maryland, only vets can perform tail docking and only if they use anesthesia and it’s considered appropriate. Alaska and Louisiana allow tail docking but only if it is done in a sanitary manner, minimizes the dog’s pain and distress, and is done in a timely fashion. 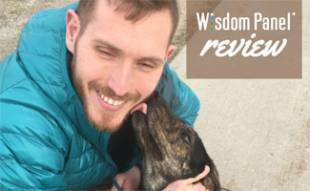 This short video may make you think twice about cropping your dog’s ears or docking its tail. Do you think these procedures are humane? Just like amputation of healthy body parts off of babies (circumcision) is wrong!! It’s only done for tradition here in America, and not recommended by any medical organizations worldwide!! Boys and dogs are born perfect!!! Where did you get the information that they may experience phantom pain? Curious to know of any studies. Thanks. Hi Mark, if you check our sources at the bottom of the article you’ll see PetHelpful linked. That’s where we got that information. I read through the referenced articles, but they dont seem to have any studies with them. I found many references about risks and concerns, but nothing about phantom pains. Could you please direct me to one with the studies on it? Thank you! Our #1 and #2 sources at the bottom of the article mention phantom pain. That is where we got that information from.